Abstract: Management of the diabetic foot is multifaceted and requires constant monitoring from patients and health care providers. The alarmingly high rate of recurrence of ulcerations in diabetic foot requires a change in our approach to care and to the vernacular in the medical literature. With its high rates of morbidity and recurrence, care of the complex diabetic foot may be aptly comparable to many forms of cancer. Therefore, our efforts should be not only in rapid healing of open wounds but also in maximizing ulcer-free days for the patient in diabetic foot remission. 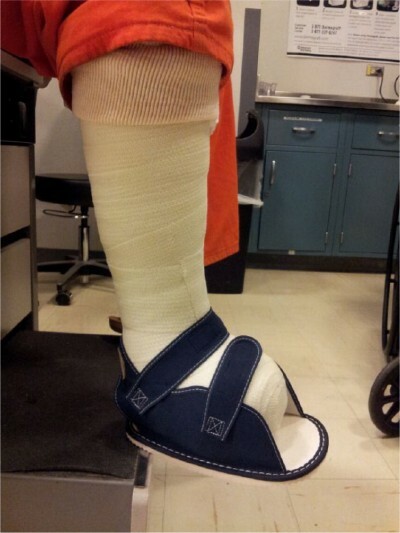 One facet of the multidisciplinary approach in managing wounds is achieved by reducing peak plantar pressures by offloading the foot with various conservative and surgical techniques aimed at reducing areas of stress caused by ambulation and improper shoe gear. Evidence supports the use of total contact casts as the gold standard for offloading open wounds; however, other methods have gained popularity as well. Novel approaches in surgical techniques and advances in wearable technology appear to show promise in measuring and modulating dangerous pressure and inflammation to extend remission and improve quality of life for these most complex patients.